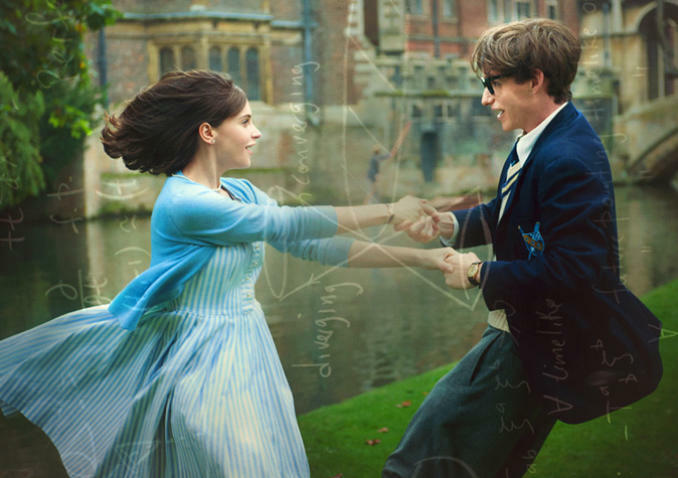 James Marsh’s 'The Theory of Everything' is a story of two great minds who meet at Cambridge University, where they experience and enjoy a great love. Stephen Hawking, at the start, is a student. Like any other young man, he avoids doing his homework to the point where he accidentally spills tea on the worksheet and has to write his work on the back of a train timetable! Like any other young man, he attends a university party. There, like countless other young men have done over time, he meets and falls for a beautiful girl, Jane Wilde. But, just as their love, with all its dancing, laughter and striking 'normality', is getting started, along comes Motor Neurone Disease. This story of one of the world’s greatest minds and his great romance then takes, almost, a cruel twist as he is told he has two years to live. The movie then becomes the story of how Stephen and Jane coped as he slowly lost all his physical functions. When he loses his voice to a breathing tube, they find an old fashioned alphabet board. At this point the script comes up with one of many moments of humour in the middle of great sadness. They meet a speech therapist who thinks that Stephen Hawking is the most brilliant man she has ever met and says to Jane: "You must worship the ground beneath his wheels." Overall, the movie focuses on the many positive things Stephen Hawking has done with his life. As we now know, he is a miracle case of MND, still alive after over 50 years of its constant company. Perhaps a disabled actor could have been found to play Stephen Hawking!? Usually I would not agree with 'cripping up' and in this case I still don’t, but I can't see where they would have found a disabled actor who shares his impairment? Overall, Eddie Redmayne does a brilliant job and Felicity Jones comes a very close second as Jane. They have made no secret in the media of the amount of research they have both put into their roles, and it is easy to see that their hard work will pay off. My one small gripe with the film is that a lot of the action takes place in sequences of music, meaning that you might miss something if you look away from the screen at some points. The movie doesn’t cover everything, but rather brief moments in flashes. But then, how could anyone fit over 50 years of greatness into two brief hours?